Our sessions are design to help you progress in a stepped level. Allowing you to set the pace and speed you want. Beginners can watch in-depth teaching on notes and scales while advanced players can focus on improv and technique. When you are ready, just move up to the next level. This site is designed to work with people at various levels of skill. 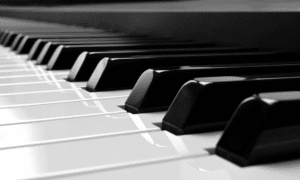 It is for the beginner who has never even touched a piano before, or you may have played as a child and have gotten a bit rusty, welcome back. Or you may play a lot and would like to have some access to sessions, songs and exercises to help you grow in skill. All can find value in what this site has to offer. There is a handbook for Level One, with the other three coming soon. This book walks you through what's in the level, where you should start and how to successfully complete the level. It can be downloaded and printed so you can take notes and refer back to it often. We encourage you to start with reading the handbook and then start exploring the site, it is big and there are many sessions in each level. There is no set way to to use this site, however we do recommend that there are certain concepts and exercises that you must master before attempting to move on. But the site has been designed for you to use it at your own speed, in your own way. Have Fun! Each session has its own page. That page includes a video lesson, A short explanation of the video and what the concept is. There is also downloadable sheet music or charts when applicable. Also to help in timing and practice there are audio clip to listen to and accompany. And if you run into something that you don't understand, then you can use the new ask a question feature and we will get right back to you with an answer. Here are four sample lessons, one from each level. You can try them out to see how this sight works.